1) Aquaphytex (Spain) – purifies wastewater through plants; have generated $4 million in revenue, employs 45 people, and currently provides clean water for 300,000 people in Mali, the Bahamas, Kenya and Spain. Pedro, the CEO, didn’t speak a word of English a few months ago but was nonetheless the most popular Spaniard in Boulder. 2) Liberation Chocolate (Liberia) – Reinvigorating the once abandoned practice of cocoa farming due to civil war, Liberation Chocolate empowers Liberian farmers to take back their fields and provides former child soldiers jobs by supporting production and bringing their products to market. Founded by a man who fled Liberia during the war then returned 14 years later. 3) Musoni (Kenya) – Making microfinance cashless for the first time in history, using mobile payments to disburse over $5 million to 7,500 clients. 4) Own Your Own Boda (Uganda) – Establishing a pathway out of poverty for Ugandan moto-taxi drivers by providing loans in the form of a new motorcycle, eliminating dependence on indefinite renting. In two years they have dispersed over 70 loans, with 22 of them already paid back in full. 5) Mobile Agribusiness (Congo) – Run by a former Congolese child soldier turned entrepreneur, Mobile Agribusiness connects farmers, who make up 80% of Congo’s population, to vital information via mobile phone that enables them to prepare, produce and price their crops effectively and competitively. 6) Quetsol (Guatemala) – Quetsol brings light to the poorest homes in Guatemala through a solar powered box. They’ve sold over $500,000 worth of solar home systems in 16 months, illuminating over 3,000 homes and benefiting around 16,000 people. I’m absolutely blown away by what the entrepreneurs have accomplished, and by what Unreasonable has become. 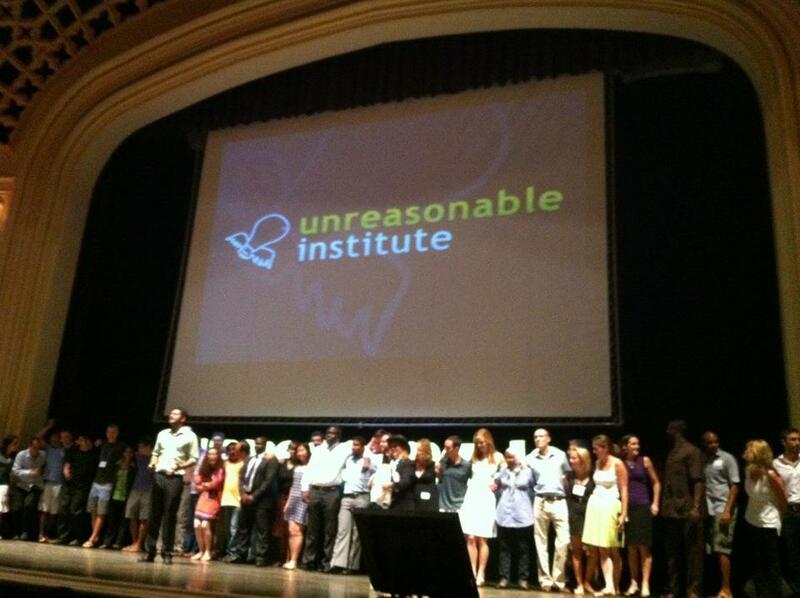 I can’t wait to keep supporting them and am so proud of the Unreasonable founders & team.